Mouse is one of the prime device in desktops. Even the laptop users use mouse instead of touch-pad for better control over the system. The design of mouse was not changed since the invention of computers except that there was an innovation with laser mouse. There are some advancements in gaming mouse with more buttons and even some mouse come with touch interface instead of buttons. To notice, the overall design is always the same. But not anymore with Mycestro, the next generation 3D mouse. 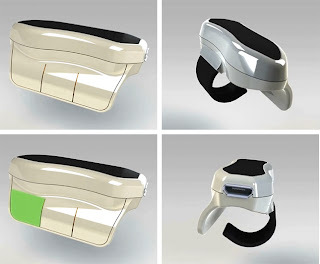 Mycestro is a 3D mouse that is used to control desktops or laptops through wireless using hand gestures. 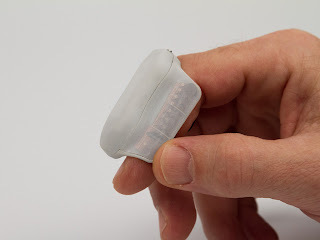 The device is small that fits in the index finger and interfaces or communicates with computers with Bluetooth technology. Mycestro has touch sensitive panel which can be interfaced with thumb finger. Mycestro has the ability to track the motion of hand in 3D space which makes it even more better for interactive applications like presentation, gaming and many more. With the touch sensitive panel, we can perform the operations which are capable in normal mouse and scrolling is enabled through swipe in the touch panel. Support for Android devices will be out by end of the year. The device is currently available for pre-order for $89 USD.